Private Sisters home on 1.4+ acres + 1600sqft shop/hanger! Rare find in Eagle Air Estates-Air Park. Perfect for pilots OR someone looking for great home separation in a development of only 12 homes on 60 acres! Custom remodel down to the electrical/plumbing in 2009! Wrap-around covered porch, Great room w/wd stv & slate hearth, 4Bd/3Ba (3-suites! 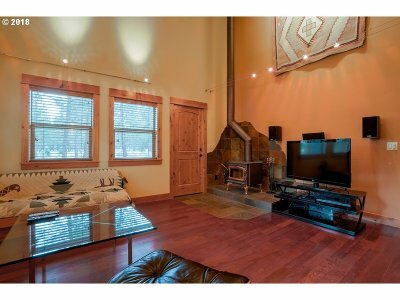 ), 2100+sqft, upgraded custom features throughout, att 2-car, covered back deck w/great Mtn Views!